Thank you for clicking on BBC South Live today. 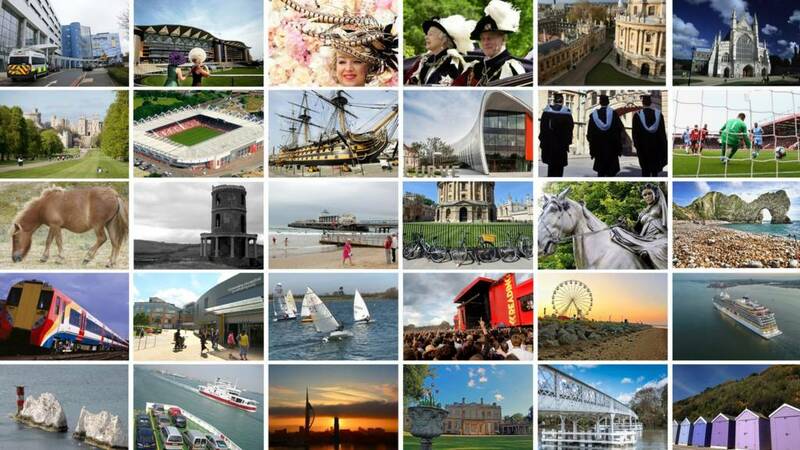 We'll be back from 08:00 tomorrow with all of the region's latest news, travel, sport and weather. 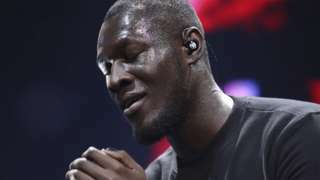 Stormzy has turned up to perform at the funeral of a fan's father in Reading after spotting a message on Twitter. Nasir Bockarie's father died in the Royal Berkshire Hospital on 8 December, the day Nasir graduated. He sent Stormzy a message saying he and his father had both loved the song Blinded By Your Grace, and invited him to sing at the funeral. "Don't worry if you can't," he added. "I just thought I'd try my luck". To his surprise, Stormzy replied and agreed to come. The funeral took place on 21 December and, sure enough, Stormzy kept his promise. A 77-year-old man has pleaded guilty to causing the death of a pedestrian by careless driving. The 87-year-old victim died in hospital after she was hit by a car in Southbourne Road, Bournemouth, on 26 April. Lewis Thorne, of Southbourne Road, is due to be sentenced at Bournemouth Crown Court on 11 January. Miss Stanley said: "It's ridiculous. Our staff members wanted to do it, and we were a bit gobsmacked that anyone complained." In an email sent to South Oxfordshire District Council's head of planning a villager said: "I really don't want to be too curmudgeonly about this. "But the illuminations up on the on the B4027 are contrary to Rectory Farm planning conditions regarding signage." They added that farm workers should not be indulged "at the expense of others, and in particular the green belt". A Christmas tree made out of tyres has prompted a complaint to the local council about its impact on the green belt. The 6ft temporary festive decoration was set up at the entrance to Rectory Farm in Stanton St John on Saturday. But a complaint was made at a parish council meeting and an email has now been sent to the district council suggesting it breaches planning rules. Imogen Stanley runs the farm with her parents and said they were "gobsmacked". The rapper performs Blinded By Your Grace at a funeral service after a fan contacted him on Twitter. Police searching for a missing man from Thatcham have recovered a body from a river. 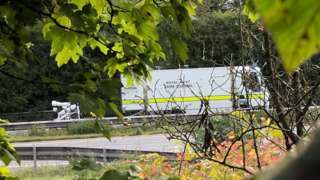 The body was found in the River Kennett in Newbury. It has not been formally identified but police believe it is that of Steve Holand, who has been missing since 8 December. Police say his next of kin have been informed and the death is being treated as "unexplained but not suspicious". It wouldn't be Christmas without Oxford University a cappella group Out of the Blue releasing a festive cover. The group, which has had members appear on The X Factor and Britain's Got Talent, has reimagined Slade's Merry Xmas Everybody, and has filmed a fun video which sees the lads larking about in Oxford. Their previous covers have included Sleigh Ride, Santa Baby and All I Want for Christmas Is You. Their version of Hips Don't Lie even got a complimentary tweet from Shakira herself. It's all in aid of local charity Helen & Douglas House. Deon from the group appears on BBC Introducing in Oxford on BBC Radio Oxford on Saturday. Almost 20,000 badgers were killed this year as part of a government plan to control the spread of bovine TB. 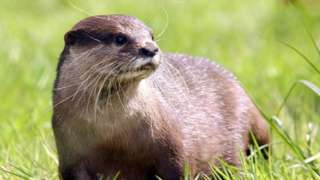 The animals were culled in 19 areas in Gloucestershire, Somerset, Dorset, Cornwall, Devon, Herefordshire, Cheshire and Wiltshire. Farming Minister George Eustice said the cull had been "effective". 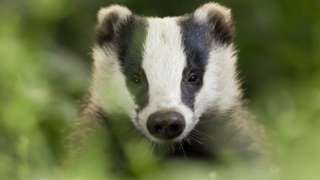 Data for two further supplementary cull zones, in Gloucestershire and Somerset, had not yet been analysed, Defra said. Figures released by the government show the minimum target of culls was achieved, and the maximum not exceeded, in all 19 areas. The animals were culled in 19 areas in eight counties in England. The 11-hour motorway shutdown caused gridlock and long tailbacks on 23 September. Video caption: The charity that helps make special memories for Armed Forces families.The charity that helps make special memories for Armed Forces families. British-Iranian woman Nazanin Zaghari-Ratcliffe, who has been held in Iran for 18 months, has been told she is eligible for early release, her husband has said. Richard Ratcliffe, originally from Fleet in Hampshire, told BBC Radio 5 Live that an Iranian judiciary database had listed her as "eligible for release". He said her lawyer was "hopeful" when he visited her in prison on Wednesday. Mrs Zaghari-Ratcliffe has been held in Iran since April 2016 after being accused of spying - charges she denies. British troops from the Gosport-based 33 Field Hospital have been getting into the Christmas spirit. They'll be spending this Christmas on United Nations operations in South Sudan, based at the UK role 2 Hospital in Bentiu. They've got some fabulous hats there, and we wish them all a very merry Christmas. 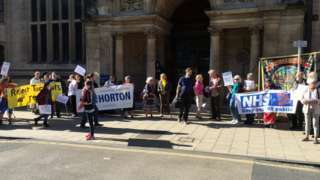 Campaigners say they are "bitterly disappointed" by the decision to uphold changes to Horton Hospital. More than 53,000 sign a petition calling the Oxford Junior Dictionary to reinstate words like acorn. 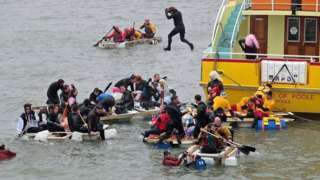 The race - which has run for 43 years - was under threat over safety concerns. 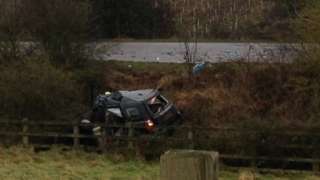 The man was pronounced dead at the scene of the accident near Faringdon. Mars was made uninhabitable when its surface water was absorbed into the planet's crust, according to scientists in Oxford. New research by the Department of Earth Sciences suggests water is locked into surface due to chemical reactions. The Red Planet was covered in water until around three billion years ago. Dr Jon Wade, who led the team, said: "People have thought about this question for a long time, but never tested the theory of the water being absorbed as a result of simple rock reactions. "On Mars, water reacting with the freshly erupted lavas that form its basaltic crust, resulted in a sponge-like effect where the planet’s water reacted with the rocks forming a variety of water bearing minerals.